China Tuesday unveiled a massive cabinet restructuring plan to make the government better structured, more efficient, and service-oriented. 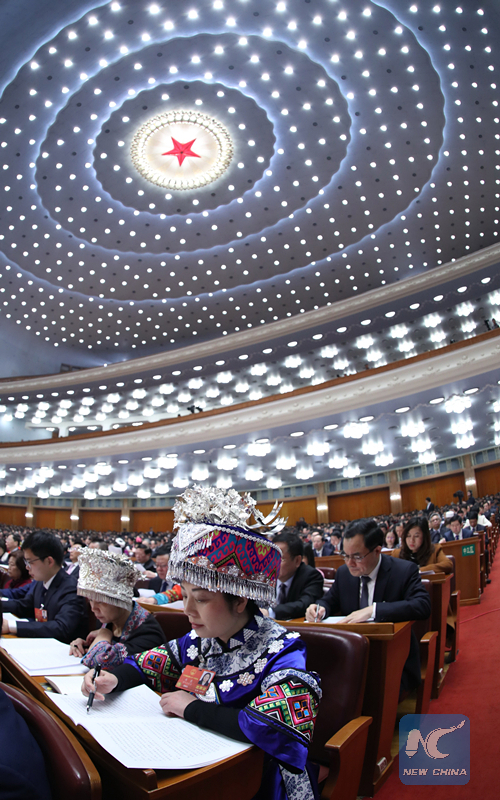 The institutional reform plan of the State Council, affecting dozens of entities, was submitted to the first session of the 13th National People's Congress for review, pending approval. 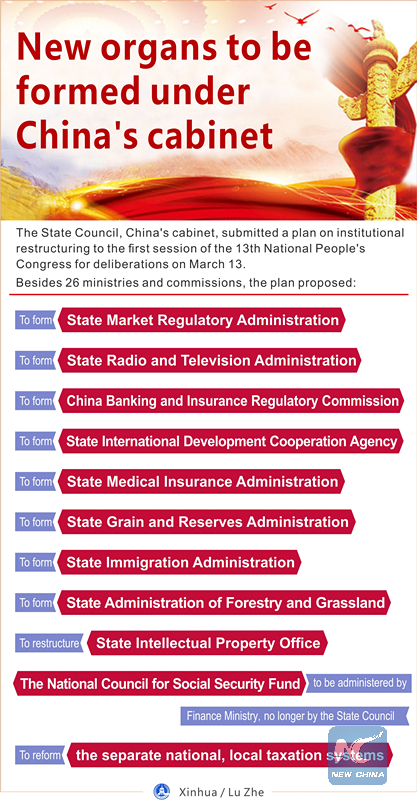 If passed, it will be China's eighth cabinet restructuring since 1982. 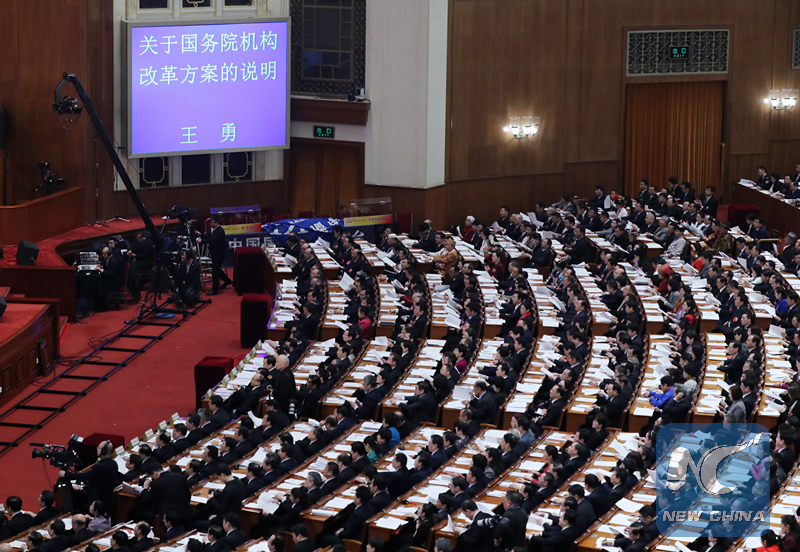 Briefing the lawmakers on the plan, State Councilor Wang Yong said after the shake-up the cabinet would have 15 fewer entities at ministerial or vice-ministerial levels. He said the move will strengthen the government's roles in economic management, market supervision, social management, public service, ecological and environmental protection. 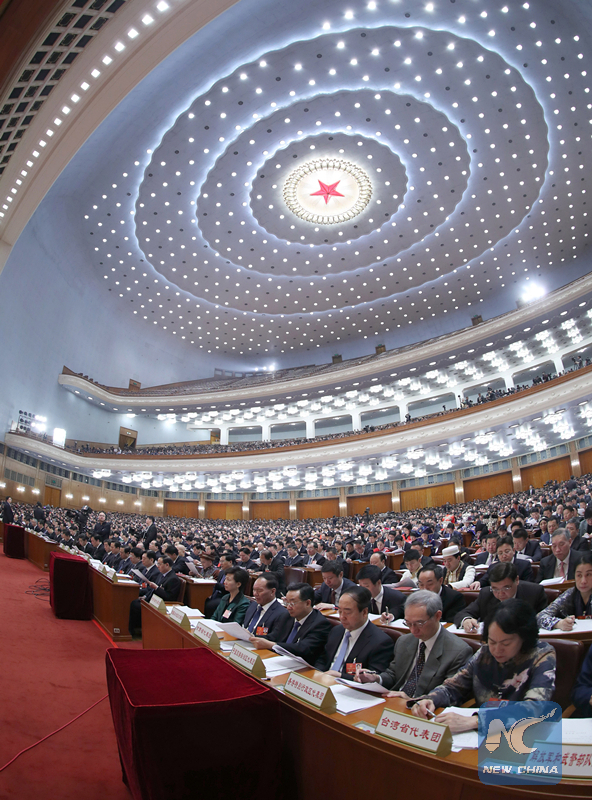 "It focuses on the needs of development and meets the people's expectations," Wang said, adding that the reshuffle was part of a broader plan of the Communist Party of China to reform the Party and state institutions. Liu He, a senior Party official and head of the Office of the Central Leading Group on Financial and Economic Affairs, described the reform "revolutionary" in a signed article published on the People's Daily Tuesday. He said the reform was meant to take on shaking up entrenched power and interests. "The effects will reach far and deep. Only a great leader can unleash such a reform," said Yang Weimin, Liu's deputy and a member of the top political advisory body. Yang said a streamlined administration would save numerous coordination meetings between government ministries and agencies each year. Cutting bureaucracy has been a common pursuit of governments around the world. China is no exception. Downsizing the cabinet has taken place approximately every five years since the early 1980s. Observers took note of the latest move, saying there is more to it. 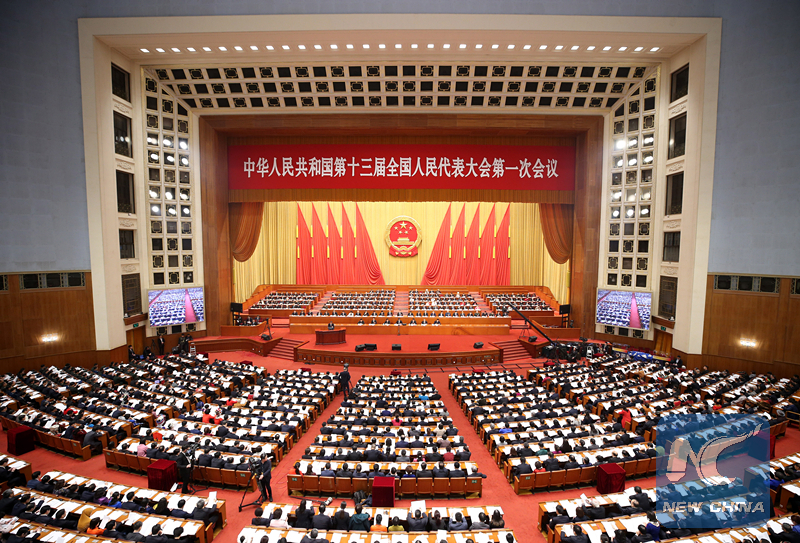 They said the reform pointed to the authorities' current priorities - risk prevention, poverty relief, and pollution control - reflect the country's larger role on global stage, and reaffirm the government's commitment to better protecting the weak and vulnerable. In a big change, the China Banking Regulatory Commission and the China Insurance Regulatory Commission will be replaced by a banking and insurance regulatory commission. The move is aimed at solving existing problems such as unclear responsibilities, cross-regulation, and absence of supervision. Chen Nanhuan, a branch manager at the Agricultural Bank of China, said a unified regulator will be more effective to forestall risks. "It prevents companies from dodging supervision that is not uncommon under current two regulator system," Chen said. At the same time, the banking and insurance regulator will shift some duties to the People's Bank of China, a sign of consolidating regulatory power by the central bank. Loopholes in the regulatory system needed to be closed, flaws corrected, and all existing risks dealt with immediately, central bank governor Zhou Xiaochuan warned last week. Aside from creating a new financial regulatory, a state market regulatory administration will be formed, replacing three agencies which have overlapping duties to strengthen oversight of food, drugs, consumer and industrial products, among others. New entities will be set up to better manage natural resources and protect the environment. A new ministry of natural resources will make overall planning and oversee the development and protection of the natural resources. The ministry of ecological environment will be tasked with making and enforcing environmental protection policies, as well as ecological monitoring. It takes over the role of the National Development and Reform Commission concerning climate change response. Faced with an arduous challenge to tackle pollution, China is making headway. The central government says it will take more action to build a "Beautiful China," where the skies are blue, the land is green, and the water is clear. Another highly-watched move is the forming of an international development cooperation agency. The agency will assume duties now scattered in the Ministry of Foreign Affairs and the Ministry of Commerce. Wang, the state councilor, said the move will give full play to foreign aid as a key means of major-country diplomacy, enhance strategic planning and coordination of foreign aid, and better serve the country's overall diplomatic layout and the Belt and Road Initiative. China has emerged as a key provider of foreign aid to the developing world. Its aid -- ranging from food, disaster relief materials, and machinery to schools, houses, and infrastructure projects -- can be seen across Asia, Africa, and Latin America. According to a government white paper issued in December 2016, China has given about 400 billion yuan (63.5 billion U.S. dollars) in development aid to 166 countries and international organizations in the past six decades. Wen Chao, a manager at Guangdong Agribusiness Group, said the new agency was highly anticipated by companies participating in aid projects. In a move seen to boost the charm of Chinese culture, the cabinet will merge the Ministry of Culture with National Tourism Administration. Wang said it would help enhance China's "soft power" and cultural influence. China also plans to set up a state immigration administration under the Ministry of Public Security. Explaining the move, Wang said the number of foreigners working and living in China has been rising, creating new requirements for immigration administration and services. Guangzhou is one of the Chinese cities seeing a boom of foreign migrants in recent years. Liu Baochun, a foreign liaison official based in the city, said an immigration office is very necessary for China and fits its status as the world's second largest economy with extensive exchanges with the world. "A growing China will attract more foreigners to come," he said. People's welfare will be better protected too. Two new ministerial departments are each dedicated to public health and veterans affairs. The national health commission aims to offer comprehensive lifelong health services for the people while the ministry of veterans affairs will make and enforce policies concerning demobilized military personnel, dealing with issues such as their reemployment and training. In addition, the cabinet will put into place a new state administration on medical insurance to ensure medical insurance funds are safe, controllable and reasonably used in a bid to safeguard public access to medical services. 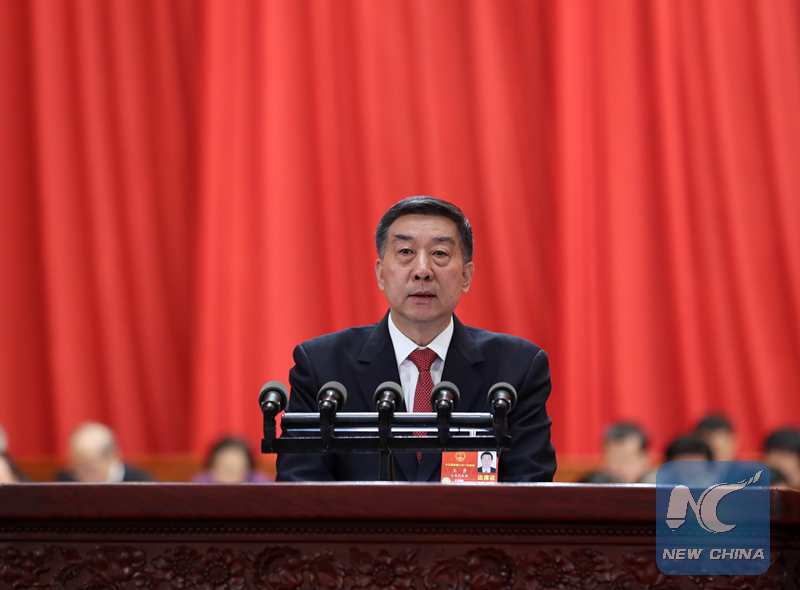 Zhang Zhanbin, a professor with Chinese Academy of Governance, said with the cabinet institutional reform China would take a step forward on modernizing state governance. "The reform upholds the people-centered approach and helps the market play a decisive role," Zhang said. "But it is not a once-for-all fix. There is much more work ahead."